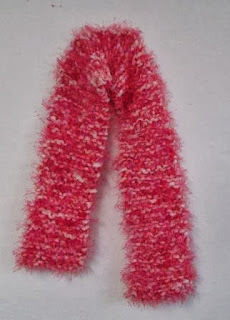 I got another scarf done this week. It will be added to the Christmas gifts. It is a nice thick warm one. 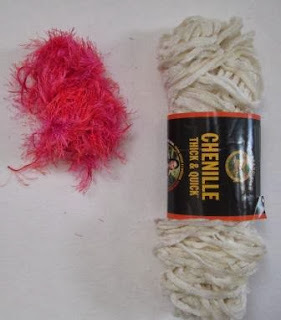 Here are the two yarns I used, a pink eyelash and the Chenille. I love this Chenille and wish I had more of it. 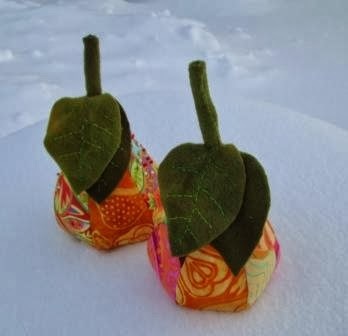 I also have pear pincushions done. One is for me and I have been using it for a little while now. The second one was my gift at the Leduc Black Gold Quilt Patch Christmas exchange. I also gave a package of new silk pins. The pear is a pattern Here by Heater Bailey. The pattern came with Apples, Strawberries and Tomatoes too. I may have to make them all. I have a few planned for Christmas gifts. 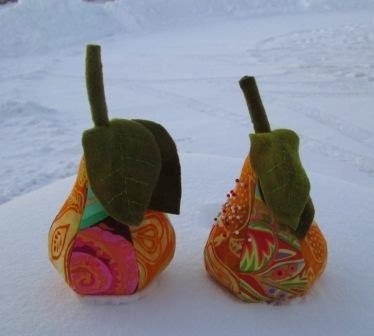 I used some Bear beads in the bottom of the pears so they would sit well and then some polyester stuffing. See how much snow we have? It is very cold now too, -30 C or colder. 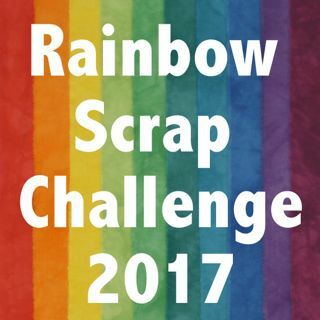 I have added this post to Crazy Mom Quilts Finish Up Firday and Nap Time Crafter. Those pear pincushions are adorable. Is there a pattern somewhere? What did you use to fill them? Questions, questions, questions...stay warm!